I am at my wits end with this. All I’m trying to do is form an X inside of a square. I can’t for the life of me figure out the correct angle for this. Does anyone have a good tip or a good method of doing this? I’m sorry guys I posted this after my bedtime last night and I was pissed off because I went through a whole 2x4x8 trying to make these damn things. 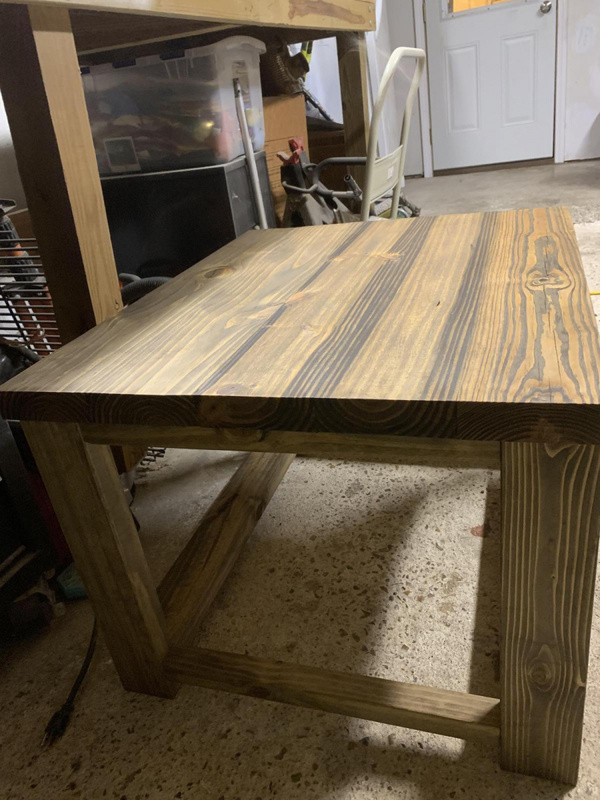 I have posted a photo of the end table I’m building and the RECTANGLE I’m wanting to place the X into is facing the front of the photo. It’s 24” wide by 18” tall. I would just lay a length of 2x4 where you want it and mark it from the back. Cut to those lines. Install. Lay a straight edge on the diagonal from inside corner to inside corner. 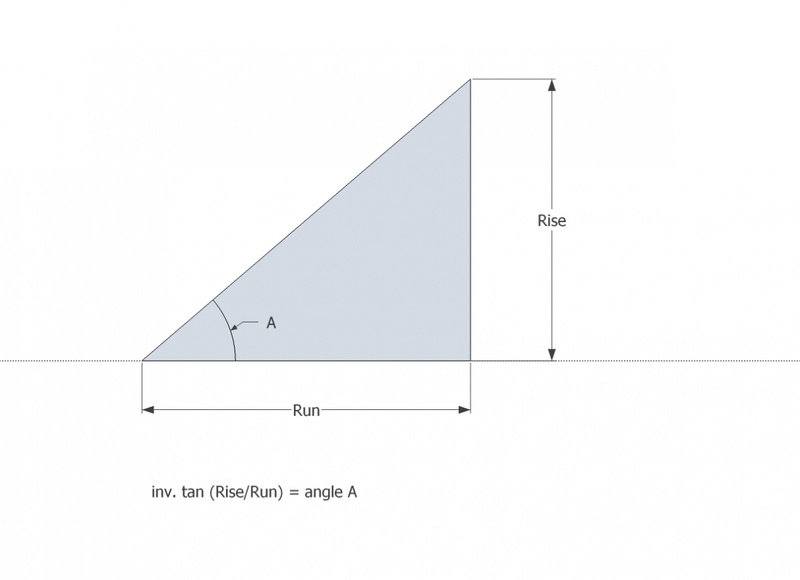 Measure the angles. Those will be your saw angles. That is what I would do as well, use the lines to set a bevel square, use bevel square to set saw blade. Rub the corners with a piece of crayola to trace the outline on the paper. Now you have an exact template of the opening. You can now draw your pieces on the paper creating the size and width that you think you want .... it's only paper and you haven't wasted any wood yet ...... When it looks good to you, make the pieces using the angles from the paper template. The intersection will be the most difficult to make, a cross lap joint is required. Again the paper template will help you with that. If both ends are the same, you are fortunate, if not minor adjustments can be made. Don't get hung up on the math. You can walk over to your saw with 40.6 degrees in your head or the actual angle on a bevel square in your hand, your choice. a full size template or prototype to work from. (like WoodnThings said). less stress on the nerves and saves material. you'll get it - just don't overthink it. you can get inexpensive angle finders at HF and other Box Stores. Or the "no math method. Build the square or rectangle. Lay it over the stock to be fitted and with a sharp pencil mark the angles on the stock. Bring the stock to the miter saw and adjust the saw to match your markings. It will give you both the angle and the overall length and you won't have to use any measuring devices at all. But make sure that your rectangle is square first (by measuring the diagonals with either a ruler or a story stick). I would make the "X" with a lap joint in the middle, then trim to fit, taking very light cuts as I get close. * Table saw to make the lap joint. * Miter saw to trim the ends of the arms to fit. * Find the exact center of the "X" in the middle of the lap joint and mark the spot. * Mark a centering line at the end of each arm. The line should go down the middle, parallel to each arm. * Mark a spot near the end of each arm on the centering line, close to where the corner should be. The spots must be the same distance from the center mark, and slightly "inside the square hole." You will use these spots to center the "X" in the square hole for marking. * Hold the "X" against the outside of the square hole with the marks facing in. From the inside, line up the centering lines on the corners of the square hole. 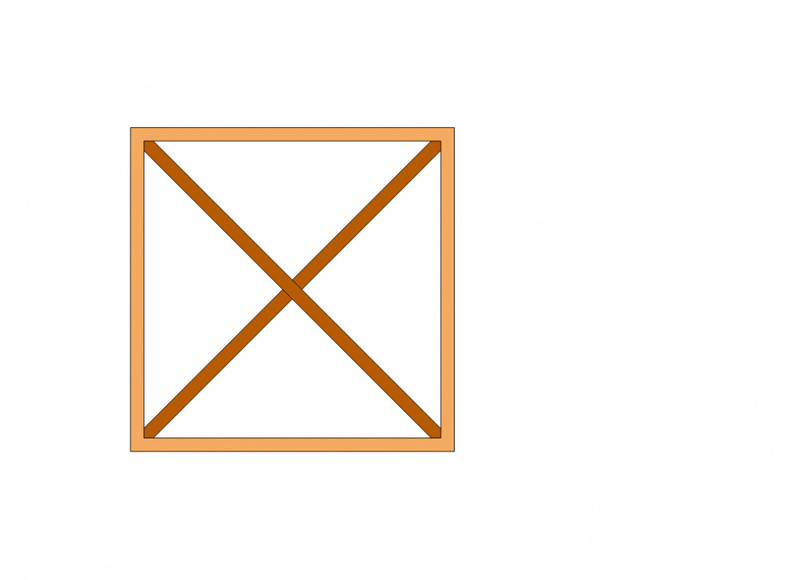 Adjust the spots on the lines so that they are the same distance from the corners, thus centering the "X" in the hole. Ask a friend to hold the "X" while you make the marks. It would help to have a light under the table while you work. * Use the edges of the square hole to mark the corners near where the "cuts" will go on the "X". The marks should be 45 degrees and come to a point on the centering line. * Before making the cuts, check your work to make sure the "X" is centered by measuring from the cut marks to the center spot. They should all be the same distance. * Cut outside the marks, so that the "X" is slightly too large. Leave yourself room for trimming. * Reassemble the "X" and test the fit carefully. Trim the corners a tiny bit at a time on a miter saw, reassembling and retesting each time. Trim the four arms evenly, so that the point of each arm stays on the centering line and the distance from each point to the center stays equal. Test after every cut; don't be tempted to make multiple cuts and then test. Keep taking tiny bites and testing the fit until it is perfect. Remember: You can always cut off, but you can't "cut on." * Clamp and glue the lap joint. * Sand off the marks and finish to match. How will you attach the "X" to the frame? Press fit and glue? The procedure I posted expects a square shape hole. It doesn't have to be perfect, but it should have more-or-less equal sides. The OP said, "... form an X inside of a square." I also assumed that the square hole is already built based on the photo. That is why I added my comment at the end about how to attach the X. If the square hole does not exist, then I would think about jointing the X in the square to make everything stronger, but that's a different story. Last edited by woodnthings; 03-26-2019 at 10:54 AM.